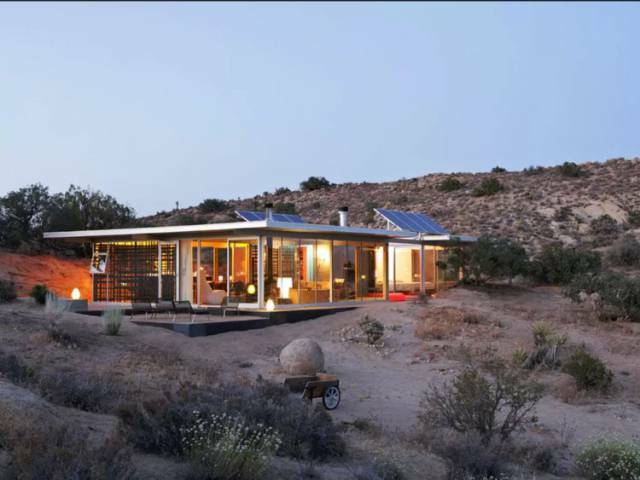 Located in the middle of the California desert, this property is is 100% off-grid, and powered by solar panels. The $380 a night spot is a favorite for photoshoots, and won the "Western Home Award" by Sunset magazine. 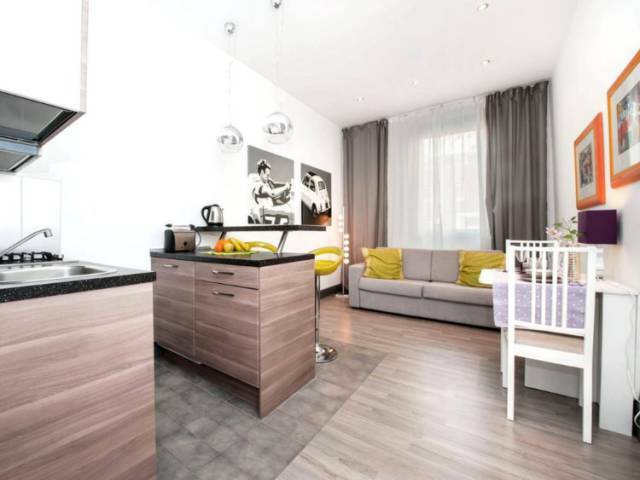 This modern, spacious loft is a comfortable spot to rest after a full day of touring around Rome. Since hotels are especially expensive in the Italian capital, it's a bargain for $42. 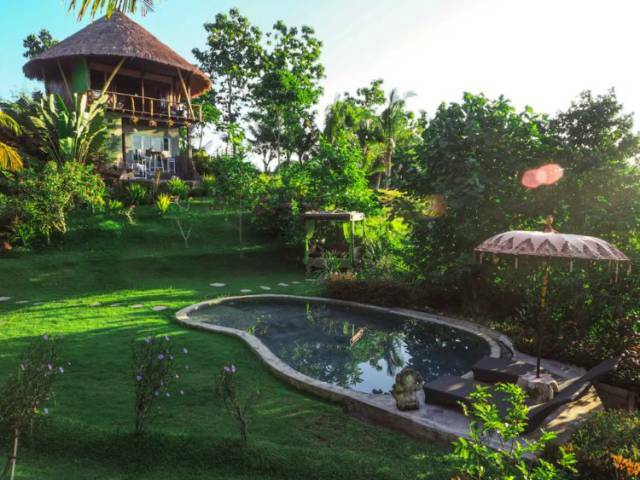 A three minute walk from the beach, this $87 a night tropical treehouse has a private pool, veranda, and garden. 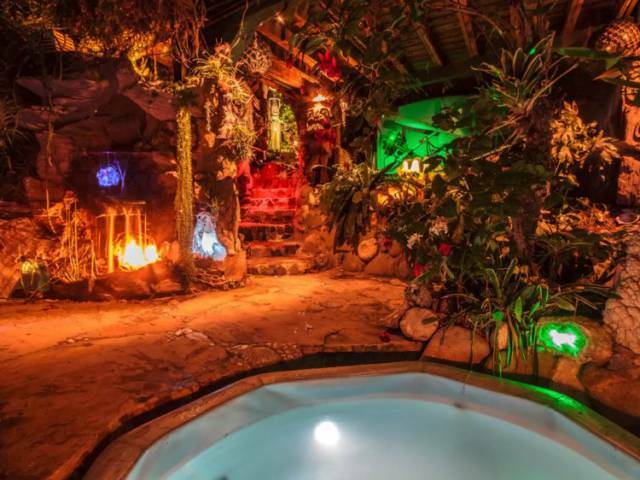 For $95 a night you can party like Jack Sparrow at this Pirates of the Caribbean Getaway in Topanga Canyon, California. The home features, tipis, hammocks, waterfalls, and ponds, making it one tropical escape. 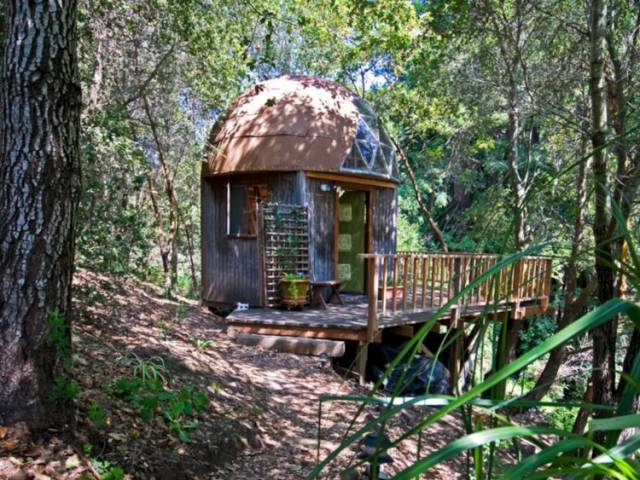 This cool, geodesic dome loft is situated on 10 acres of woods. For $115 a night, you can sleep while staring up at the stars. 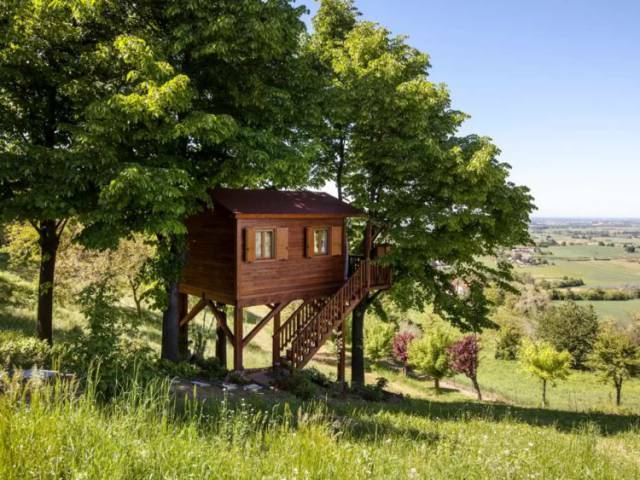 Nestled on the hills of rural Italy, this $161 a night treehouse offers panoramic views and endless serenity, as well as access to a solarium and a swimming pool. 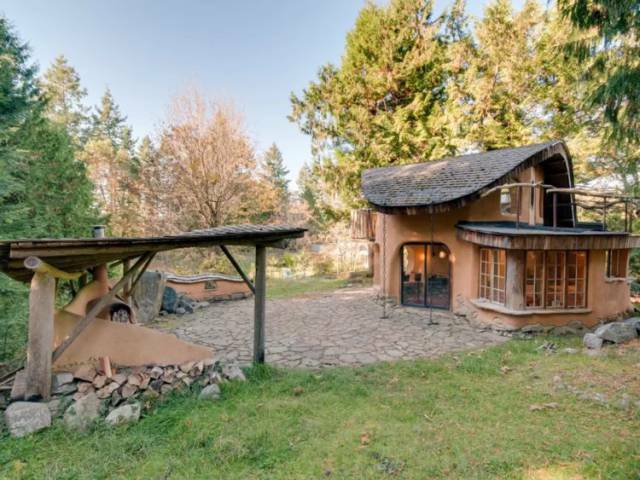 This rustic property was hand-built, and made from sustainable materials. The $110 a day home sits among lush gardens full of sheep, and beautiful orchards. 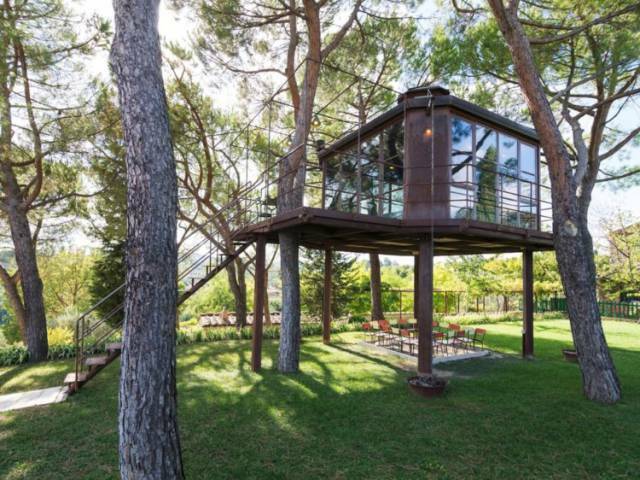 This modern treehouse comes with a tennis court, swimming pool, and garden — not bad for $288 a day. The one-room abode has huge windows that overlook Tuscany. 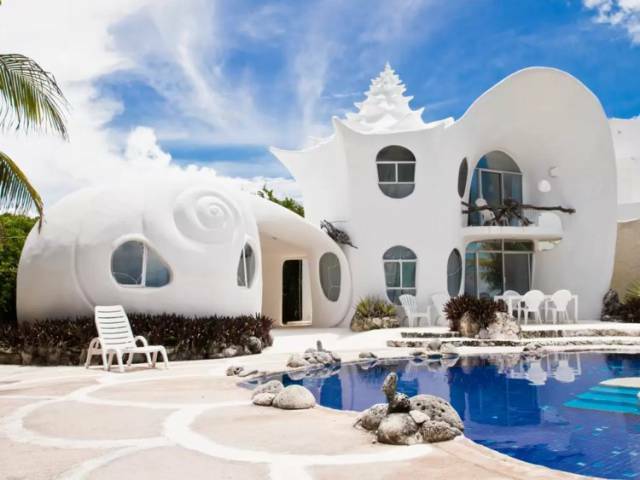 This unique island paradise, in which a mermaid might feel right at home, will set you back $308 a night. 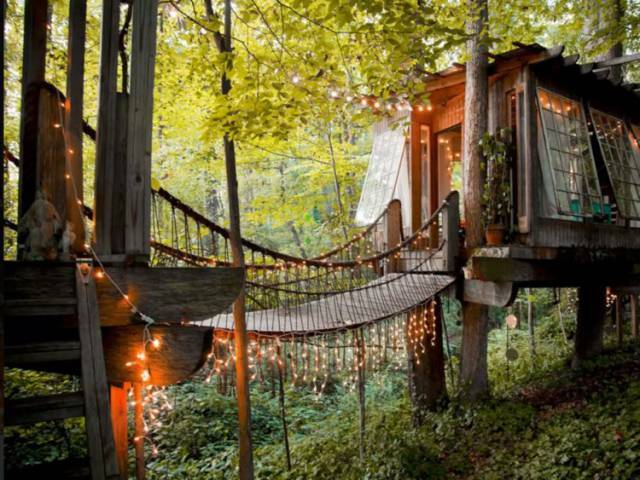 Recently crowned "AirBnB's number one most wished-for listing worldwide," this $350 a night, three bedroom treehouse is a romantic urban getaway.